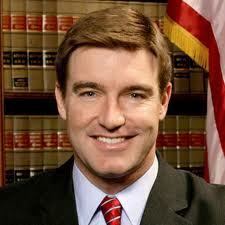 FRANKFORT, Ky. (Legal Newsline) - Kentucky Attorney General Jack Conway announced a lawsuit Tuesday against Johnson & Johnson Inc. and its subsidiaries for allegedly violating the labeling and promotion provisions of the Kentucky Consumer Protection Act. J&J allegedly hid the risks of its antipsychotic drug Risperdal from patients and doctors in Kentucky and engaged in false, unfair, misleading or deceptive labeling and promotion. While the second-generation or atypical antipsychotic drug was initially approved by the U.S. Food and Drug Administration for schizophrenia treatment, J&J allegedly promoted Risperdal more widely for other indications. Conway's lawsuit alleges that J&J concealed information from consumers that Risperdal carried an increased risk of dangerous side effects, such as hyperglycemia, hyperprolactinemia, gynocomastia, cerebrovascular adverse events, diabetes, significant weight gain and increased risk of death in elderly dementia patients. "The filing of today's complaint sends a clear message to pharmaceutical drug companies that they will not endanger the lives and health of the citizens of the commonwealth," Conway said. "We will not stand idly by as a drug company profits from endangering the very people it is supposed to help." The lawsuit also alleges that J&J represented to doctors that Risperdal had a better safety profile than other antipsychotic drugs, despite knowledge to the contrary. Conway's lawsuit seeks civil penalties for up to $2,000 per violation and up to $10,000 per violation directed at consumers over 60 years of age. The lawsuit also seeks injunctive relief that would seek to prevent J&J from the future promotion or marketing of its drugs in the state in a deceptive, misleading, false or unfair way. Multiple other state attorneys general filed similar lawsuits against J&J over Risperdal.